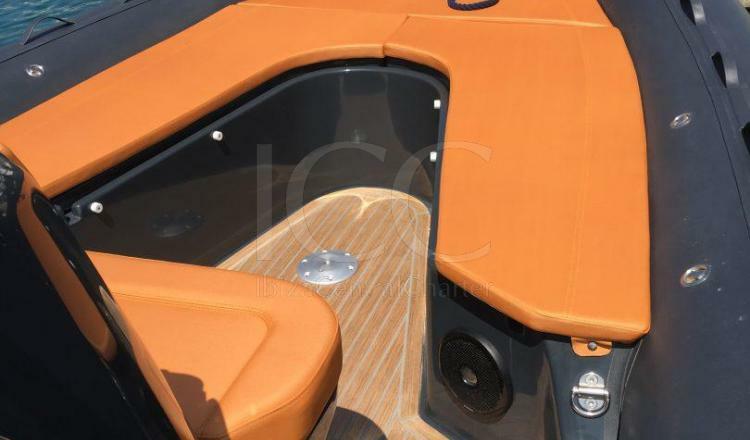 Enjoy the comfort and spaciousness of this 9-meter rib. 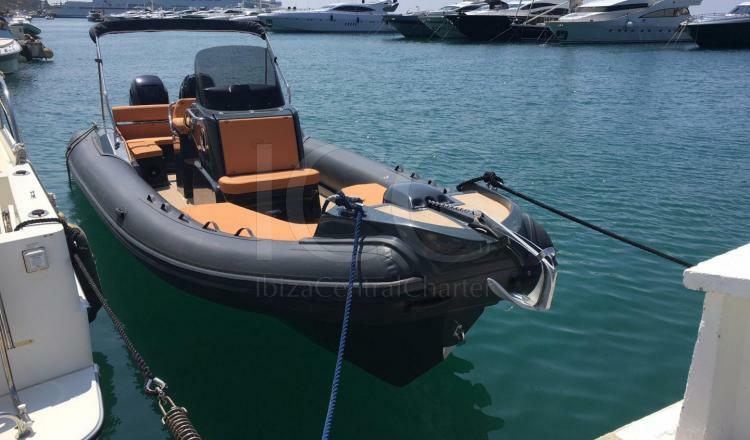 Sport rib that will allow you to discover the less accessible places of Ibiza and Formentera with a capacity of up to 11 people. This spectacular Nuova Jolly 30 high-end elegantly combines the black color and the upholstery in orange with the floor covered in teak wood that enhances its beauty. It has a length of 9 meters offering enough space for a group of 11 people plus the skipper, who can enjoy comfortably on board while discovering the most remote places of the different coves of the Pitiusas Islands. In the bow area are placed comfortable U-shaped seats that can be converted into a large solarium to disfer the sun according to the preferences of passengers. 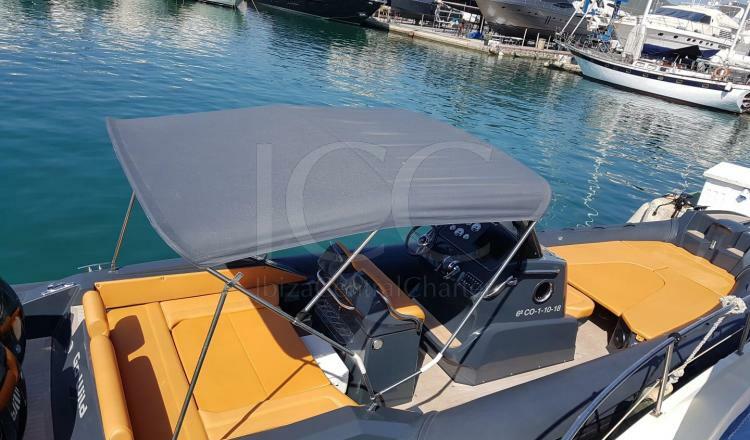 In the center is the command area that incorporates a frontal feel and a double seat for the skipper that ensures comfort. 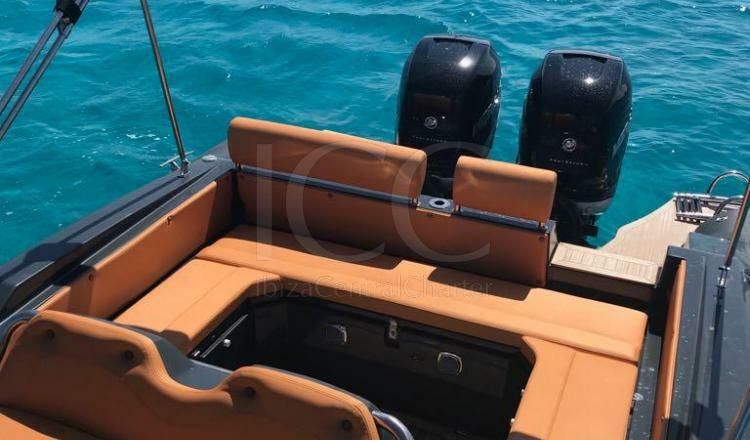 At the back of the boat there is a small bathing platform with a staircase that makes it easy to enjoy a swim in the turquoise waters, followed by comfortable sofas with a backrest that can be converted into an additional solarium. 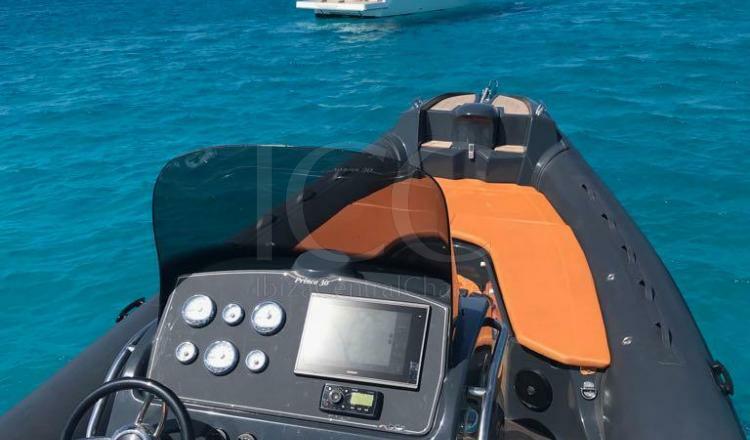 This sporty rib is very powerful and guarantees an unforgettable experience sailing through the Mediterranean Sea.